I enjoy reading a lot. It’s a lot like eating, which I also enjoy a lot. They’re both about nourishment. One for the mind. The other for, well, let’s not go there. My reading is across the board but mostly nonfiction. There is a very small number of novelists who I want to read, including mostly Virginia Woolf and Jane Austen. But there are others, and that’s for another time to consider. I try to write reviews of the books I read. Reading books and writing about them helps me with my own writing. The same is true for keeping a journal, which I also try to do. 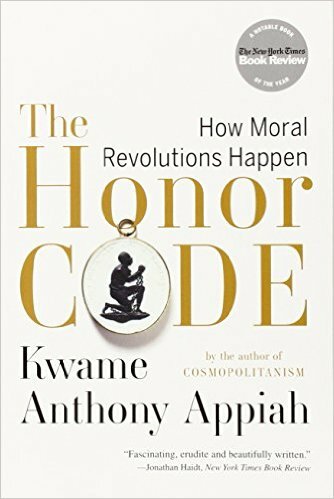 Anyway, all of this is leading me to say that you can read my book reviews here on this website and at Goodreads. 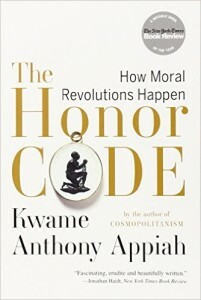 Yesterday, I published my latest review, which is about The Honor Code: How Moral Revolutions Happen by Kwame Anthony Appiah. I was underwhelmed by it and you can read why here.